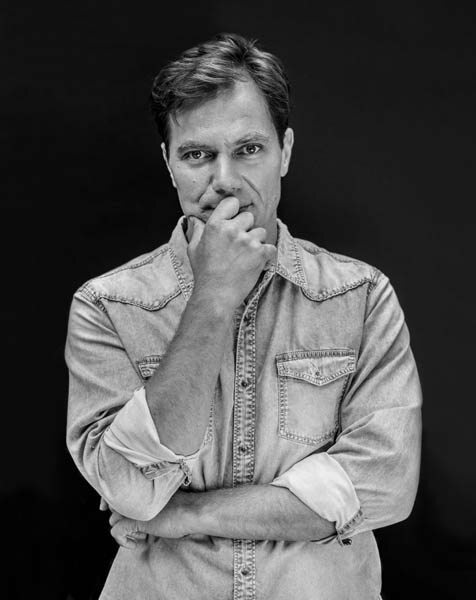 Michael Shannon defines everything Sir Winston Churchill famously quipped – ”a riddle wrapped in an enigma.” As such, it was my task here to un-wrap this riddle – this notoriously shy, reserved, and rather diffident individual. The passion he portrays on the screen also extends into his personal life as well as a fiercely loyal friend who lends his support for causes close to his heart. Playing the role of Donny in Machine Gun Preacher left an indelible mark on Michael as he has come out to support Sam Childers’ Angels of East Africa charity which continues the work depicted in the biopic. Shannon has played many intense break out roles that should have led to Hollywood superstardom many years ago. After all, he has been in demand for some of the most astute and respected movie directors for decades and counting. One need not mention the fact that he has already been Oscar acclaimed with a nomination eight years ago for his searing role in Revolutionary Road. Despite that all — this clearly atypical zodiac Leo, bred in Kentucky, and steeped in the stage and blue-chip Hollywood roles – will now have to deal with the fact that he can no longer fly below our radar. His undeniable range and talent is tantamount. Director Tom Ford has astutely grasped that fact and as such his role in that directors much anticipated Nocturnal Animals is but one of the many films that Michael Shannon will be upfront and personal, and as Rihanna would say be ”shining like a diamond” – in the next coming months. As such GW was more than ready, willing and able to decipher, to de-code to get to the man behind the man that is Michael Corbett Shannon. GW – Have you ever eaten Beef Wellington? MS – Beef Wellington? That’s funny. You’re a funny dude. GW – So they tell me. What does your typical diet consist of? Are you one of those vegan, gluten-free, fastidious types? What does a typical meal for lunch or dinner consist of? MS – I love so many different cuisines it is hard to narrow it down. I love Italian and I love sushi. But at the end of the day I love a good steak and I also love dessert. GW – Did it ever occur to you when you took on this role in director Tom Ford’s newest film Nocturnal Animals that his last leading man ended up being nominated for an Oscar? MS – Wow! Well I knew that Tom’s first movie had been very successful and critically acclaimed and Colin Firth is a great actor but I wasn’t thinking sure this would happen if I took this role. I just really liked the story and the character. GW – What is at the core of your decision when you decide to take a role? Of course, the typical answer would be the script. But besides the script – what else is there that grabs you and makes you want to take on a role? MS – Usually it is also the people involved. I decided to do Nocturnal Animals after I sat down and talked to Tom about it and the wave of his enthusiasm I was able to ride on that. With this particular character ‘Bobby’ he is a lieutenant on a police department in Texas and he is trying to solve a very gruesome crime perpetrated against the character played by Jake Gyllenhaal and a very devastating event that happened to his family. GW – And what was the greatest take-away from that experience working with Tom Ford?What is that one gem of anecdote that you will always remember? That one thing you can always tell your grand-children? MS – Well, I don’t think it is any secret that Tom Ford is a stickler for detail. He cut my hair for the movie and in fact he decided how my hair should be cut. He came into my trailer where the hairdresser was cutting my hair and he did ask very politely before he did it. But he took the hair clipper and said to her you are doing a wonderful job but I just know exactly how I want this to be done. He was very sweet about it, but I have never had a director ever cut my hair before. GW – Your career, much to your credit is steeped with blue chip stage credentials. From the stages of the renowned Steppenwolf Theater in Chicago to Off-Broadway and even the West End in London. Would you consider that training an undeniable attribute? MS -You know it’s kind of mysterious. There are some people that are great film actors that have never been on a stage in their life. By that I mean, there are not dependent on one or the other. The more I work the stronger I get, whether that be on stage or on a film set. I can’t really put my finger on it. GW – Is the stage still your first preference? MS – Oh yes. I love doing theater. I cannot imagine not being able to do theater. Some people think that is probably easier to just do movies. Obviously you make more money but I have been doing theater for 25 years and it is what I love to do. GW – What would you consider your Achilles heel? MS – My Achilles heel? I guess my attitude at times sometimes gets the better of me. GW – Would it be fair to say that you were an angry young man as kid in growing up in Kentucky? MS – Well, I am a very sensitive person. I have always been very sensitive and when one is sensitive one reacts to things very strongly. Well, that is the way I like to look at it. GW – And you are born a Leo. And the typical Leo man is not the shy, sensitive type you seem to be. Leo men love the limelight and are very outgoing — they love to preen and do not at all mind being the center of attention. You, Michael Shannon are nothing like the typical Leo lion! MS – Somebody told me something interesting about astrology once. They said you have the sun sign or something of that sort. So even though I am a Leo there are so many other ascendant signs and I guess all that can attribute to the differences in personalities I guess. But I guess I am fundamentally somewhat ferocious. GW – Ferocious? As in a short fuse? Whatever that may be, it has to somehow have helped nourish this actor’s technique? Yes or no? MS – Acting for me is an obsession. When I decide to play a character it kind of becomes a part of me. The character becomes very much a part of my train of thought. It is not a linear thing that I have to do this, this or this to be ready. I actually never really ever feel I am ready to take on a character. And so a lot of it is in the moment. The spontaneous is also important and I just left the sub-conscious take over. GW – Which I am sure had to be the grain of thought you absorbed when you took on the role of playing Elvis Presley in Elvis & Nixon in 2016. What was that like? MS – I loved playing Elvis! And I did prepare for that pretty fastidiously. Honestly, I didn’t have a lot of time because I was working on another film leading up to that but I watched a lot of footage and listened to a lot of Elvis stuff and I really took it seriously. I was nervous at the beginning but once I got comfortable with it, I realized his was a truly fascinating psychology to explore. That was the most interesting thing about it – the psychology of Elvis. Most people focus on the external elements of Elvis without really trying to understand his psychological make-up. Elvis was a really complex dude. GW – Has anyone ever told you that you evoke a very similar ephemera to the brilliant Willem Dafoe? MS – I hear that every now and again, not on a daily basis, but every now and then. I did do a film with Willem and director Werner Herzog called My Son My Son What Have You Done? I am huge fan of Willem Dafoe I think he is a phenomenal actor. 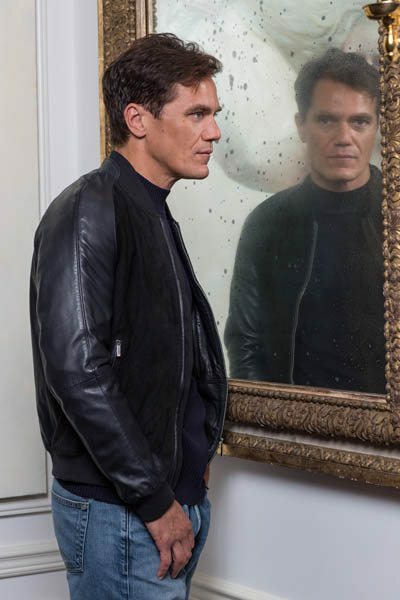 GW – GW would love nothing more than to one day go to the cinema and sit for a movie starring Michael Shannon, Willem Dafoe and Christopher Walken. MS – It’s funny you say that because I have also worked with Christopher Walken. nomination. Who is that one actor you have not worked with yet that you cannot wait to spar against? MS – That’s a tough question, as you said I have been lucky to work with a few great folks. I guess I would say Benedict Cumberbatch. He is a great actor no? I don’t really look at it as combat but he is kind of all the rage and so that will be very interesting. 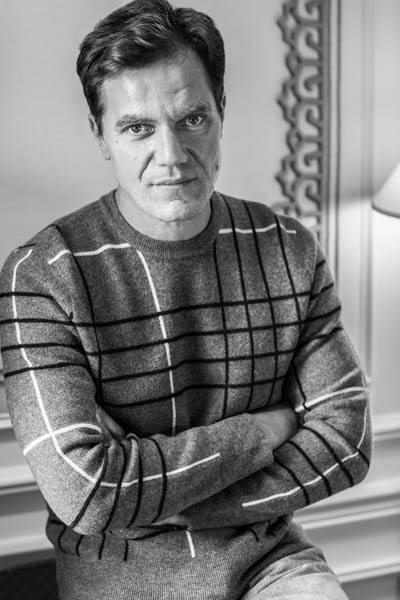 GW – The coming 2017 will be the year of Michael Shannon. That is the gospel according to George Wayne. And it’s been such a pleasure to meet you.